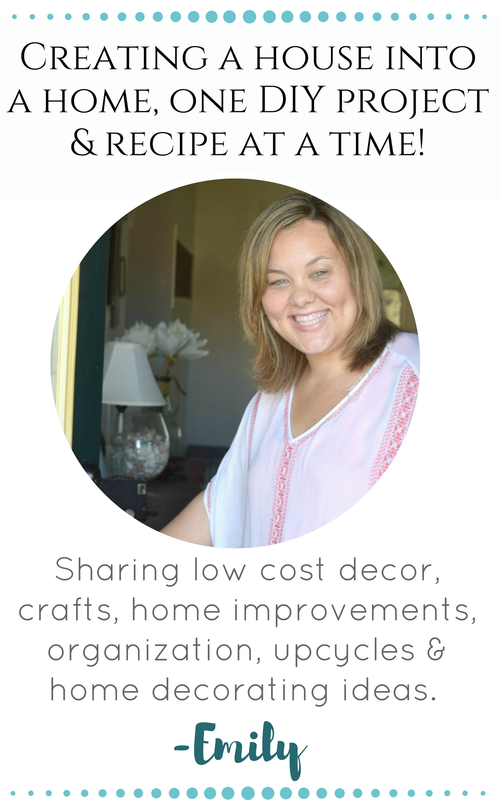 Now that the holidays are over, I always go into an organizing frenzy with my home. 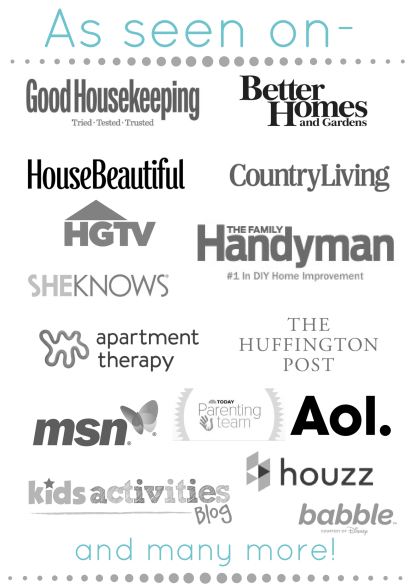 I want to simplify, clean up, organize, label and manage our life/home better. I know a lot of people get in that mind set this time of year. I made a large shoe organizer last year for my closet and never shared the full tutorial here. Not sure how that happened, but here we go, How to make a DIY shoe organizer and rack for the closet. I will preface to say the after pictures I shared of this are in my dining room. The need for this is real, and the function of it is amazing. It resides in my dark, constantly messy, and awkwardly set-up closet. Which means the pretty after pictures are impossible to take in there. I “set-up” the shots for this, but the organization is real, and the only part of my closet that is actually organized is my shoes… because of this beauty! 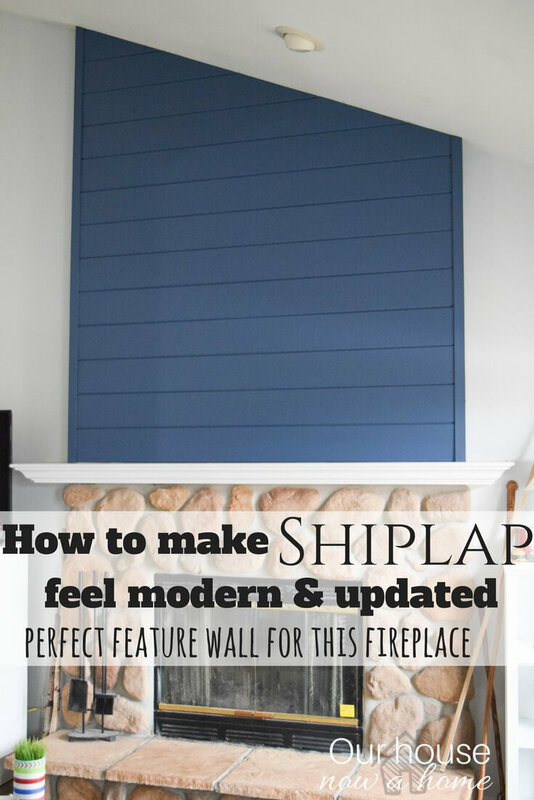 For this project I am using plywood, super low cost and easy to use! 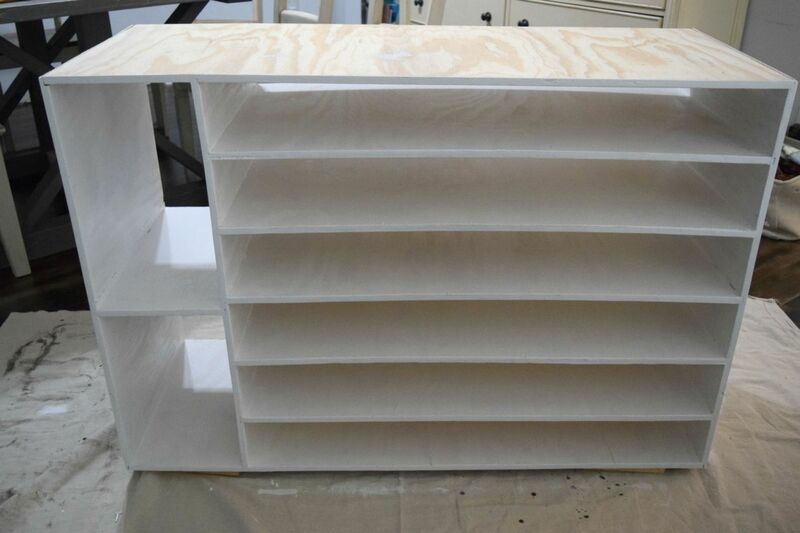 Trust me on this, once it is all painted up this shoe organizer will be pretty enough to have in any room, not just hiding away in a closet. Before I got started on the project I needed to take into consideration a few factors; how many shoes I have, what type of shoes, and the space I have to put this in. With those factors in mind I knew I wanted two shelves for boots. I am in the Midwest and we get a lot of snow, so boots are a must. I do not wear any heels, so the height of the shelves do not need to be too high. I never learned how to walk in heels, and honestly 2 inch heels make me walk like a penguin. Give me sneakers or flip flops any day! 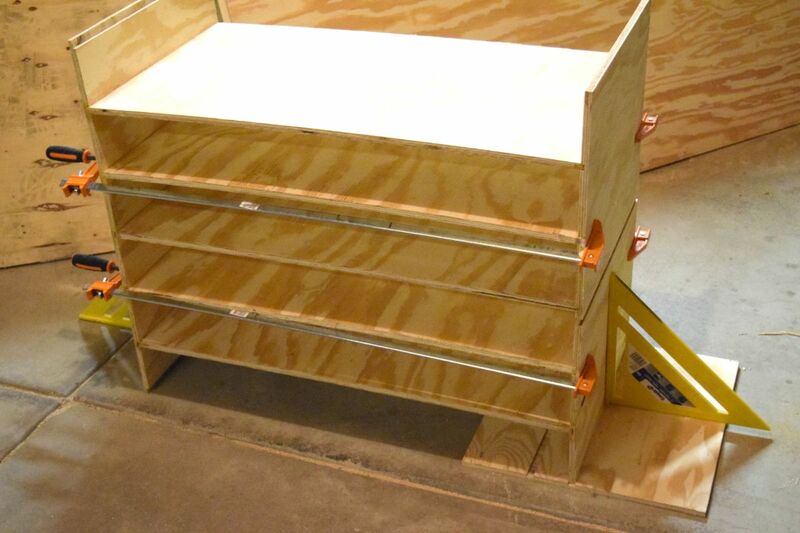 With that in mind I created a shoe rack that is 45 inches wide, 30 inches tall and 18 inches deep. 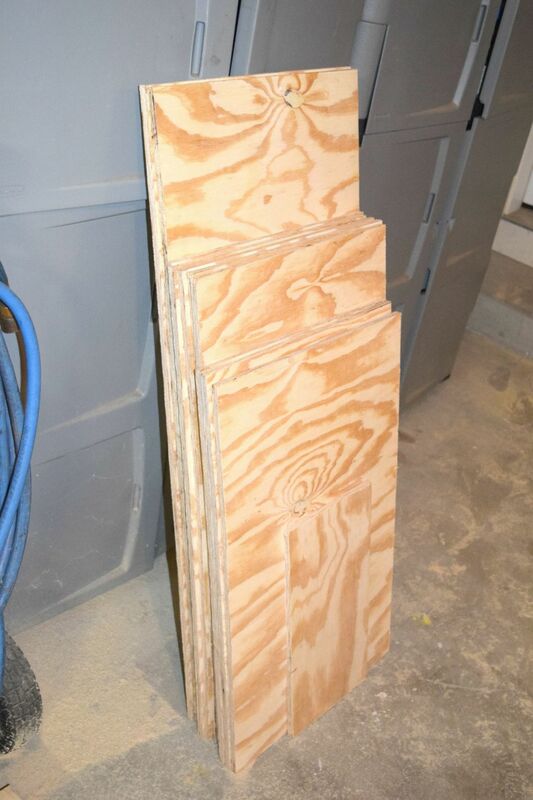 I am going to have six shelves within the shoe rack, so to get started I need to cut enough boards for those as well as for the frame. 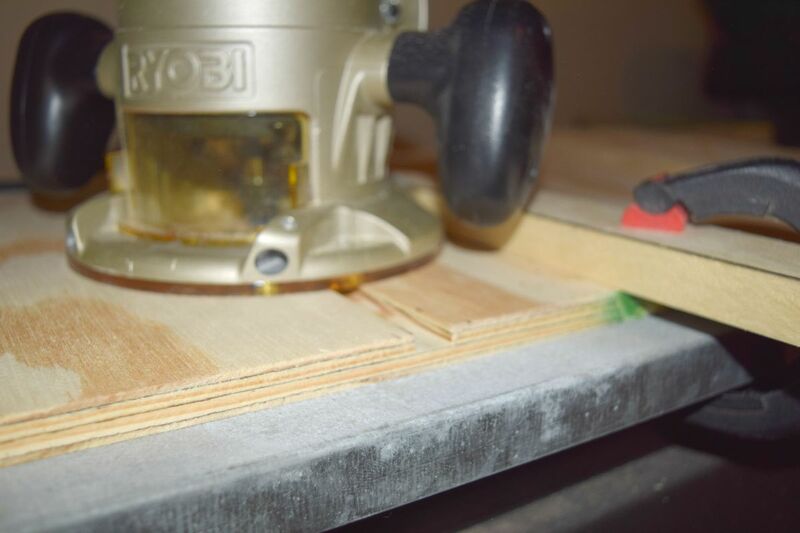 First, measure and mark where the lines need to be cut and then use a circular saw and cut along the line. I have two longer boards, as well as the individual shelves. 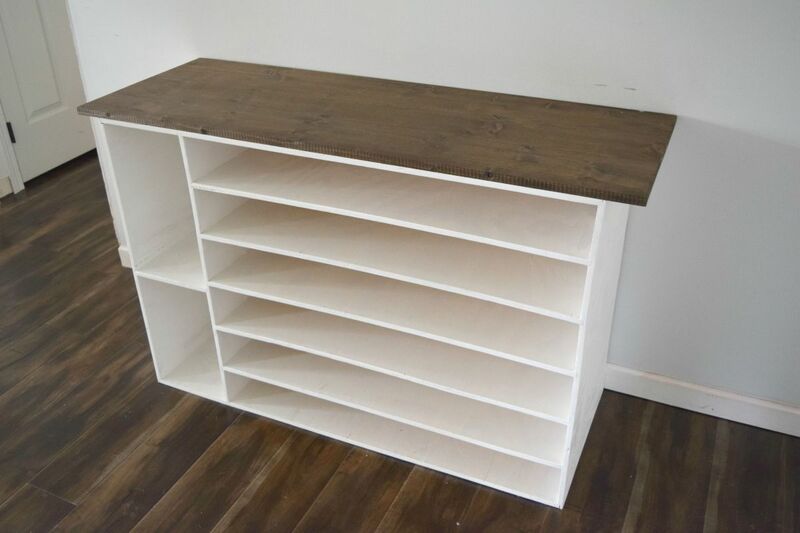 I am also adding a decorative wood top to this that I want a overhang on. Once all was cut, I took the two longer side boards and attached them to my work space. 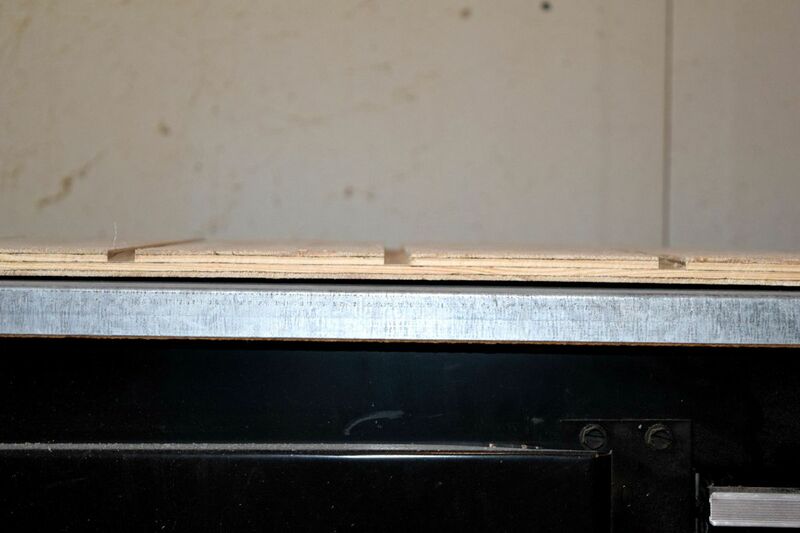 Because my boards are thinner, (.5 inches thick) using a standard nail or screw to attach them will be difficult because wood this thin has a tendency to split. 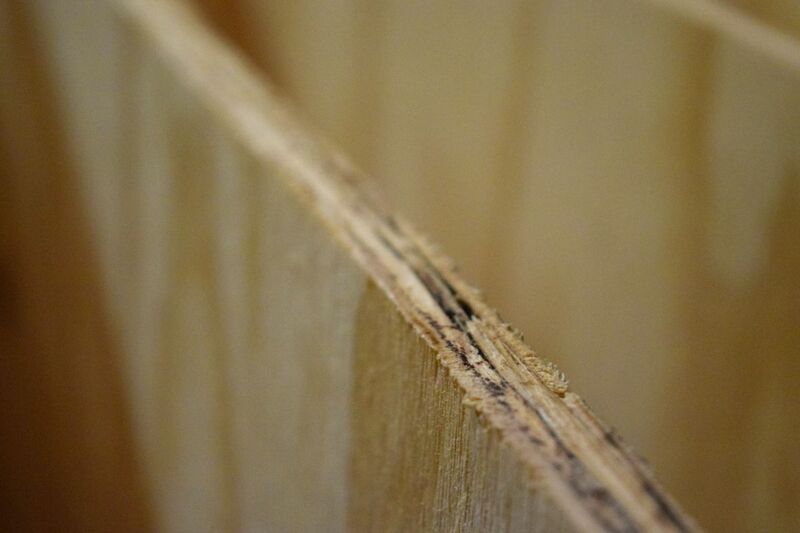 The solution is to create grooves in the wood. 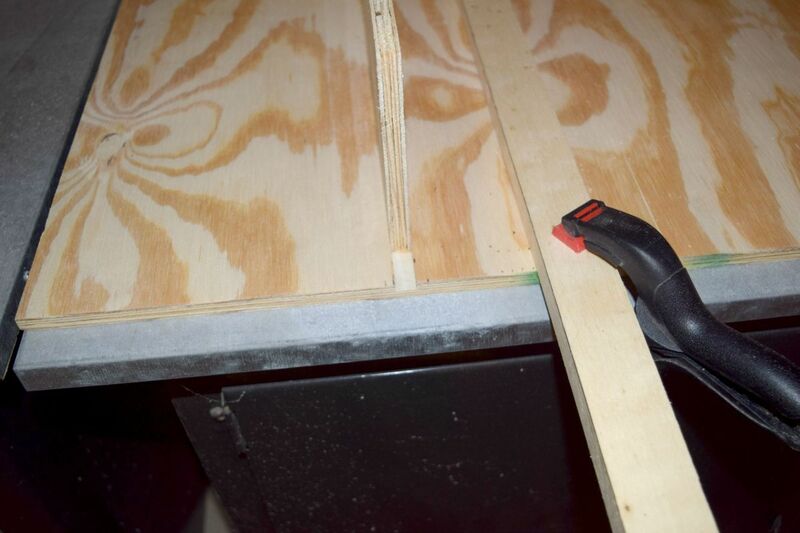 You can then slide the shelves into the grooves. 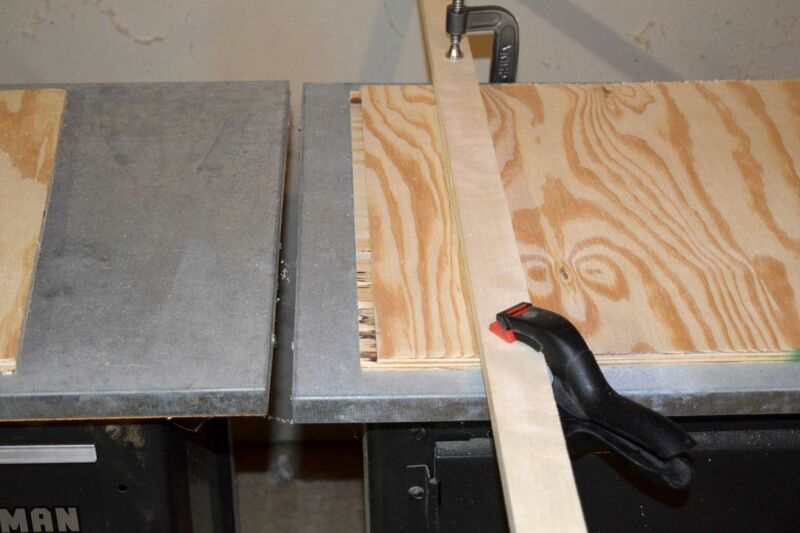 To make the grooves, use a router. First, mark the location of the shelves on each side of the rack frame. I planned for the first two shelves to be slightly taller then the rest, allowing shoes with higher heels to fit. Once I had the wood marked for the grooves, I put the router to a setting that allowed it to cut into the wood but not go all the way through — this is key! Run the router along the boards. Keeping things steady and allowing the grooves to go straight down the center. The top and the bottom of the side pieces also have to be routed at the edges. 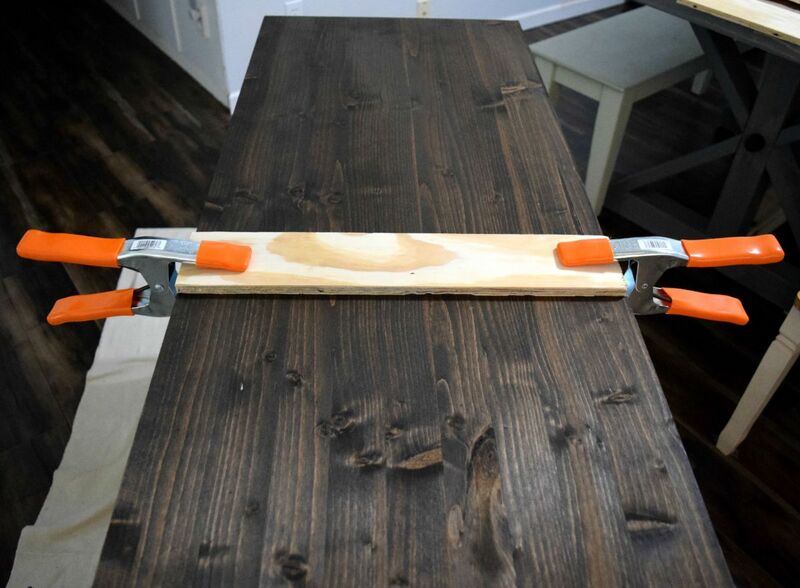 This will allow the top and bottom pieces to connect tightly with the sides of the frame. Making sure all the pieces connect tightly is critical. Shoes can be heavy and if your rack cannot handle the weight, it will make all your work worthless. With the all of the grooves cut, it is time to set the shelving in place. Lay one side down on the ground, with the grooved side up. 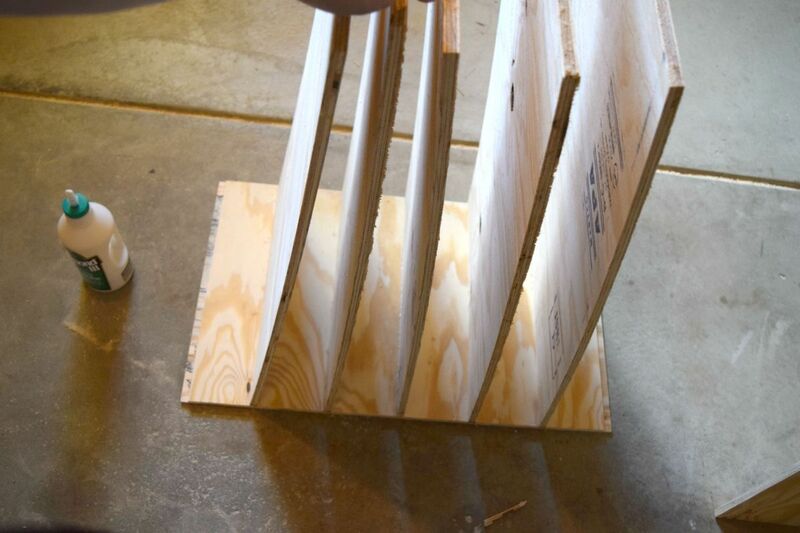 Apply a thick amount of wood glue within each groove. 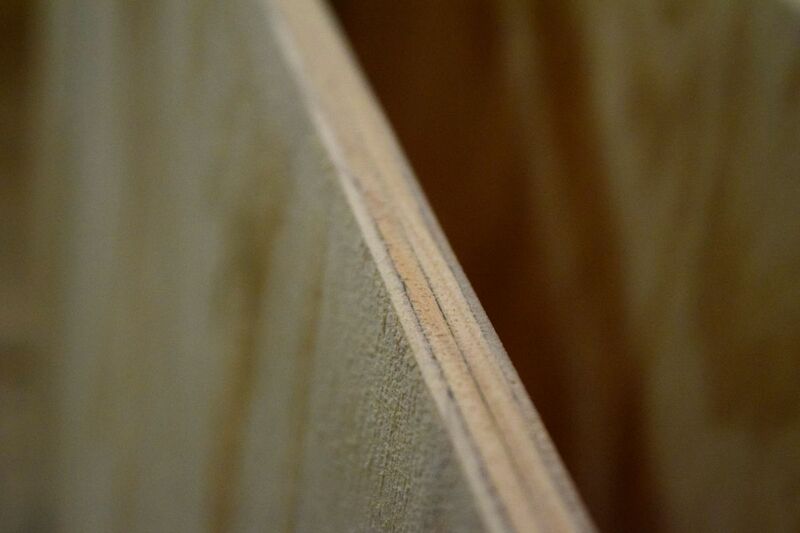 Slide the boards into the groove, make sure they are level and where they need to be. Attach the other side to the shelves. Stand it upright and clamp the sides together. Letting the glue adhere to each individual shelf. I also was sure to make sure everything remained level during this process. 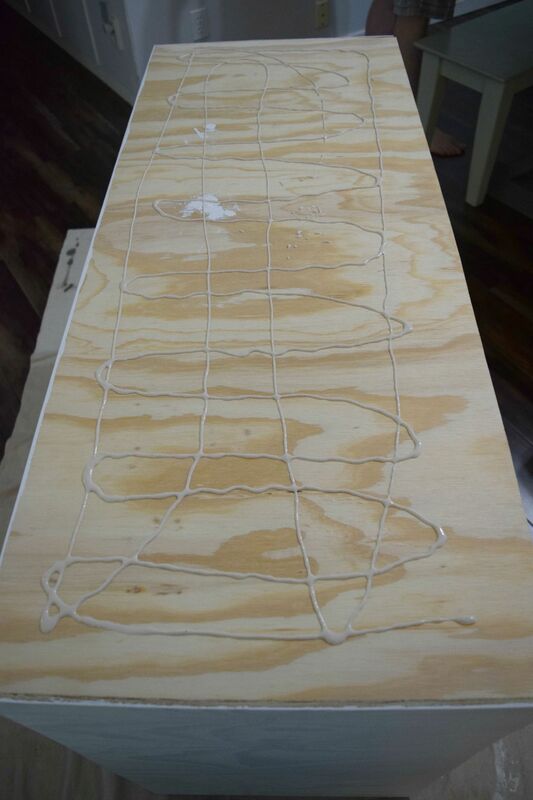 Typically wood glue needs 24 hours to fully stay stuck. Once all was dry and glues on I needed to sand down a lot of the plywood. Getting nice smooth edges. 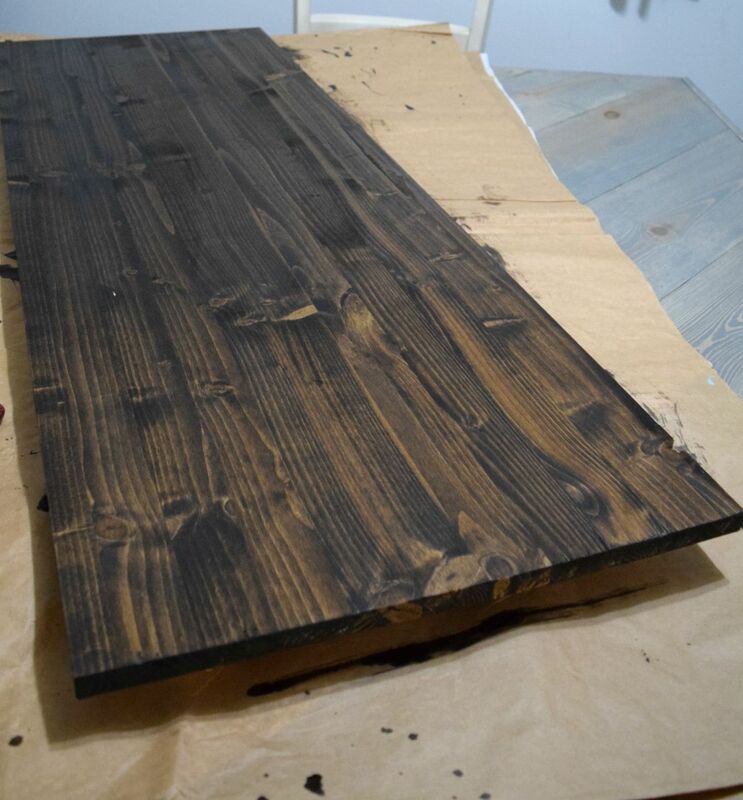 This is done to have a overall finished look, and will also allow the paint to go on easier to the wood. 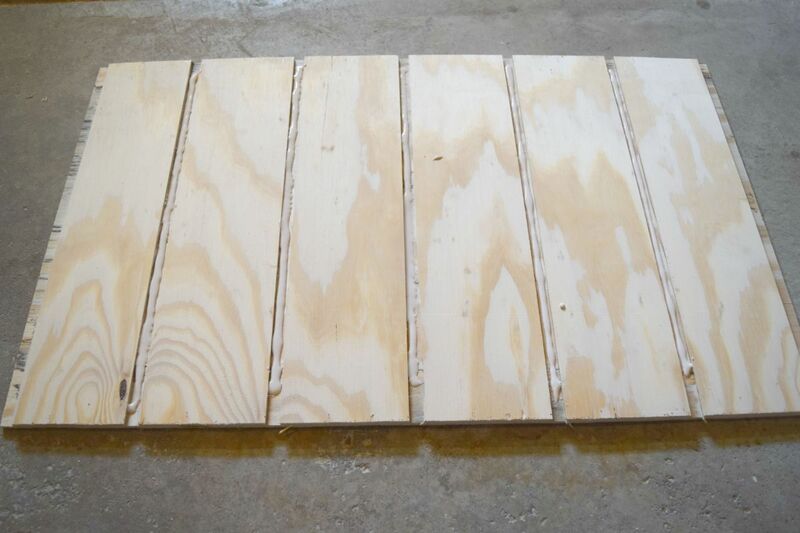 Plywood has a tendency to use up a lot of paint. So sanding it first will help not having to put on so many coats of paint. 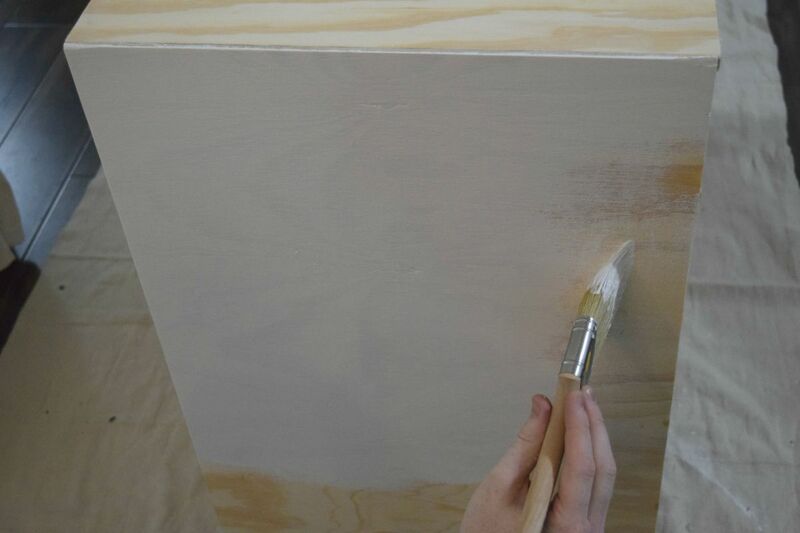 I am using a pretty and fresh white paint. I ended up needing three heavy coats of white paint. The top was sanded down heavily and stained a beautiful and dark walnut color. Using the trusty wood glue and laying a very generous amount onto the top of the shoe rack. Then clamping it all in place again. Waiting again for it all to adhere properly. Taking these extra steps are key in making this functional and last long term. No one wants to have their shoe organizer collapse. If you are like me, it would collapse and I would spend weeks ignoring the issue, walking around it and sifting through the mess to find my shoes. No one ever has time to fix these whoopsies, so take the time to let everything set right. This DIY shoe organizer and rack for the closet is almost done, I just need to add all of my shoes! I will admit that when I added my shoes into this I realized two things. I have zero fancy shoes. I have one pair of heels that I wore when I was Maid of Honor at my best friends wedding and that is it! I also realized I do not have a lot of shoes. I mean, I have enough, more than enough. But according to “the interwebs” I am lacking in the shoe department. I go for comfy, universal to multiple outfits, and kid friendly. 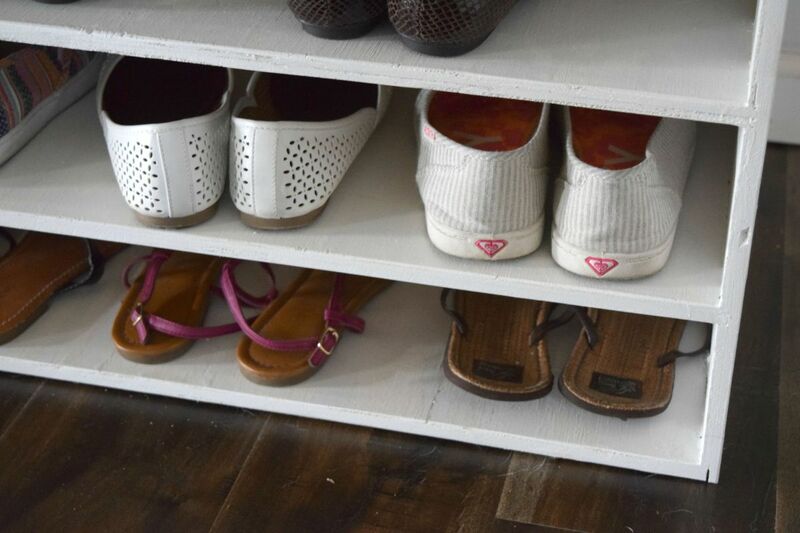 When making your own DIY shoe organizer and rack for the closet the best part is you can customize it all! If you have a ton of heels because you are a legit magician that can walk in those you can make the shelves taller. If you have a ton of boots make them that way. I made two of the shelves a little shorter than the others because I have a lot of flip flops or sandals and they do not needs a lot of room. I also made this deep enough to have two shoes per shelf, setting one set towards the back. I rotate out for the season, or ones that I do not wear that often. I hope to one day have a fully organized closet and I can shoe you guys this in there. 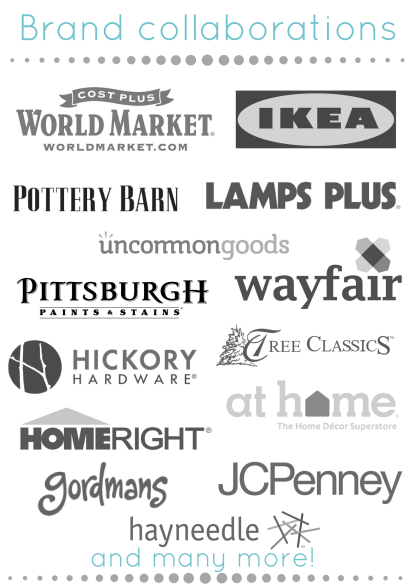 I have dreams of custom built ins, drawers, and so many labels, with everything having it’s place. Yes, this is what gets me excited and I am OK with that. I am married and have three kids, this is my fun time! Ah, sigh! I am in a constant quest to make every inch of my home be of use in some kind of way, making every nook and cranny functional. We are an active family of 5 and if I set things up the right way it actually helps save me time in the long run, everyone knows where things go. So there is no me walking around cleaning up after they all “cleaned up”. Just kidding, I still have three kids that are professional mess makers and a husband that has the best of intentions. So I do things like this to make my life easier, also to fill my need for all things DIY! 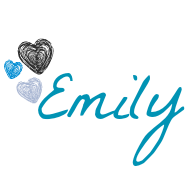 I cannot believe I let this slip with sharing it here, I tend to do a lot of projects and sometimes I do not get to sharing them on the blog. With the New Year upon us and everyone in the same zone of organization as me I figured it was the perfect time to share How to make a DIY shoe organizer and rack for the closet. I am considering a few different projects, trying to decide what to tackle first with more organizing. Also regretting I did not purchase a label maker for Christmas, which might be a good things. I could see myself labeling everything in sight! 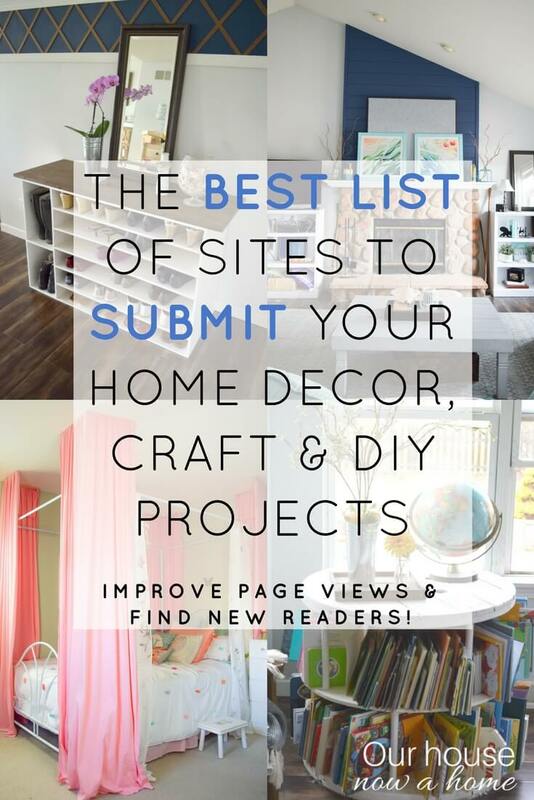 My kids are back in school from winter break and I am full steam ahead in my forever quest to making our house into a home, one DIY project at a time! Have you been bitten by the organizing bug? Any plans? This is such a cool idea! My partner loves little DIY projects and my shoes are everywhere at the moment so I will have to get him to set up one of these racks. What an awesome idea! That DIY shoe organizer and rack turned out so lovely. 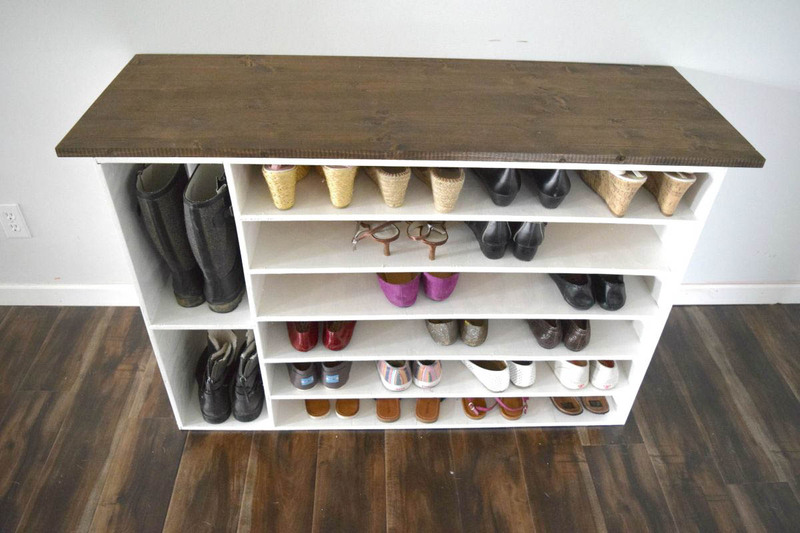 I am always in need of more shoe space so I’ll definitely have to try this out. That is a great idea. I would love to have something like that in my closet. I might have to follow your lead. wow this is truly impressive. And I love that you figured out that you need to have space for boots. Commercial show shelves never think of that. Great job! Now this I will be showing my husband. I can see some measuring, heading to the store for supplies and a weekend spent upgrading our closet. I’m in the midst of cleaning out my bedroom walk-in closet. It’s a hot mess. I need three of these shoe organizers. I actually need to get rid of some shoes. Shoes are my weakness and I need this organizer in my life. I love it! I need something like this since I have several shoes. This can really help you sort your stuff. I need a good shoe rack- the one I have always breaks and it drives me crazy! This is a great idea! I have so many shoes that I have a hard time finding the right shoe rack. It would be so much easier if I built my own! I love how the shoe rack turned out!!! 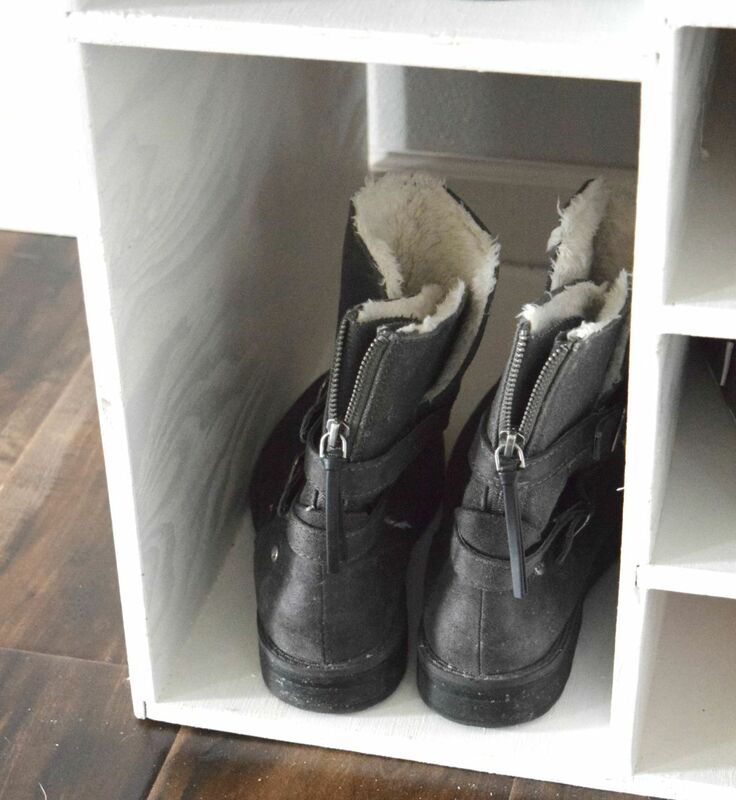 The spot for taller shoes is perfect for storing boots and even some bags! Boy would I love a shoe rack like yours, For one, I am a shoeaholic and your closet space seems so organized. That is great. Very cool! I need some inspiration for organizing all of my shoes… lol. Thanks for sharing! I want one of these. That is the most elegant shoe holder ever. I need to see if hubby can make me one. Love a good DIY project! This would be perfect (on a smaller scale) for my closet. I have such a small closet that right now all of my shoes are in clothes baskets! 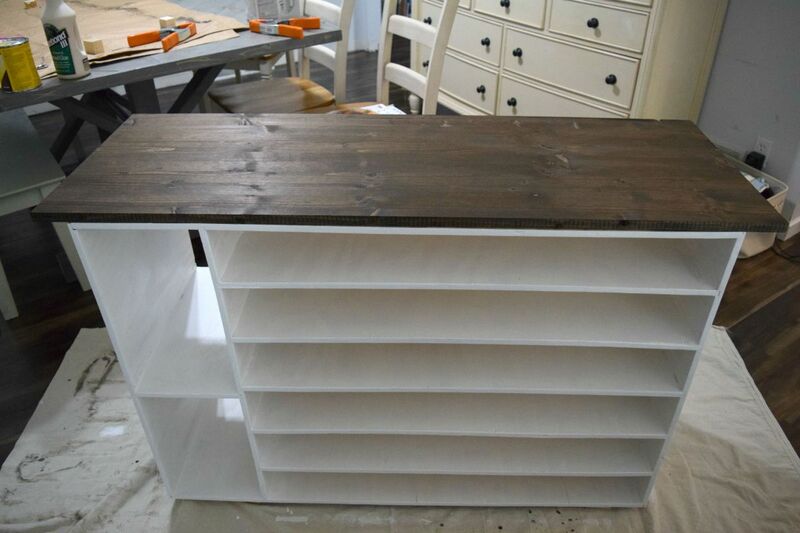 I love the way your shoe rack came out! It is so pretty! I have been cleaning things out like crazy for the past month because I am trying to ditch the storage unit or at least get a smaller one. Oh, what a cool piece! I love how this looks! I love this shoe rack! I especially love the idea of making an opening for boots! I will be forwarding this on to my handyman aka hubby. 🙂 Oh, and yes that darn organizing bug has bitten me! I need to get into the bathroom closet, time for a change. It’s a mess. I love the way your shoe organizer came out. It is so cute and so practical. I will try to make somehting similar this weekend. 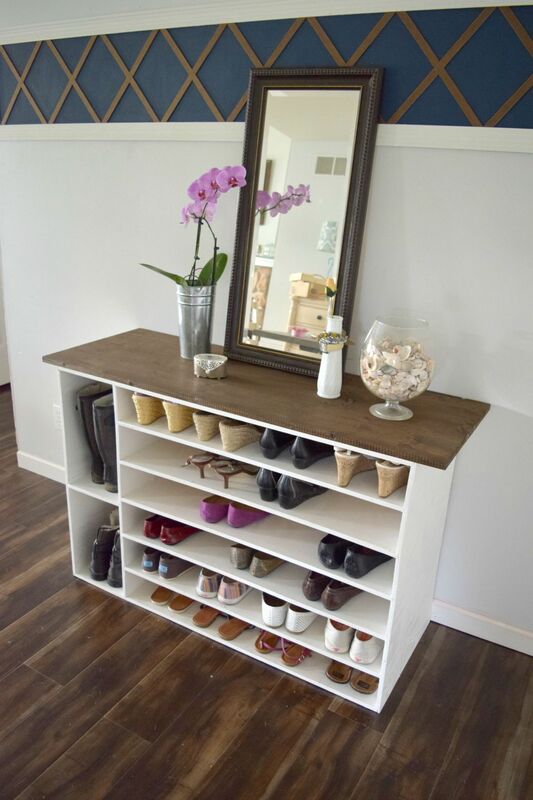 This is really cool for shoe storage. 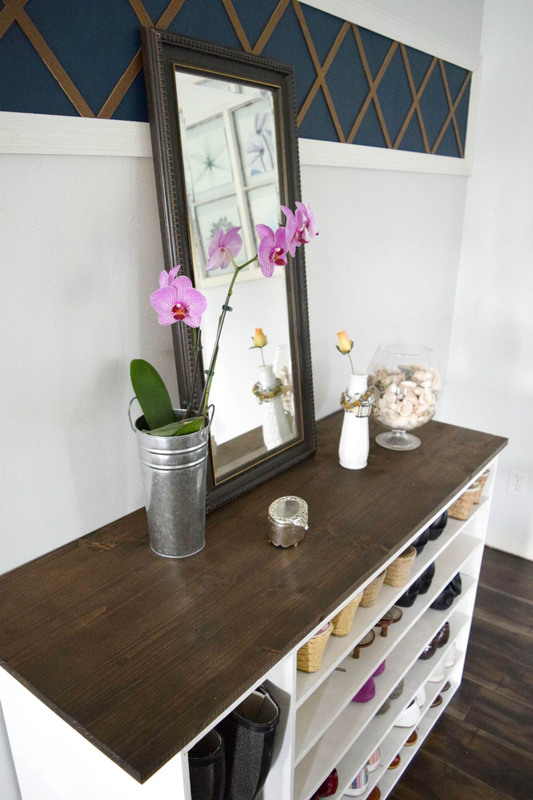 We are looking at redoing our entryway and shoe storage is something we want to add. This shoe rack looks so nice. I need to look into making something like this for my closet. My current shoe storage just isn’t working out. I LOVE this idea. I will have to get the supplies I need to make one this weekend. I am so excited to get it done. THIs is an absolutely fabulous idea! First of all it is really cute looking and completely functional and it saves space! We just did a major purge and now I’m ready to start organizing and this DIY shoe rack would be a great addition to my closet! Oh wow I love this DIY project! I will have to make this myself soon. Oh I Wish I could make one today !! I’ve so many shoes and they are always lying around the garage. So appreciate the fact you shared pics of each step. This is so awesome!! We need something for our closet because our shoes are just everywhere and it’s driving me crazy! 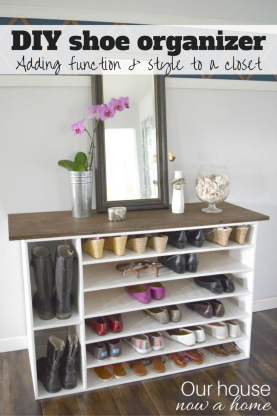 I love this DIY shoe organizer!! I love that you can truly customize it to your shoes!! I need to make one these soon!! Wow! This is such a brilliant idea. I love it! This really inspires me and will be sure to make our own shoe organizer. Thanks for sharing it. Happy new year! This shoe organizer is a dream come true! Love it. Thanks for sharing! 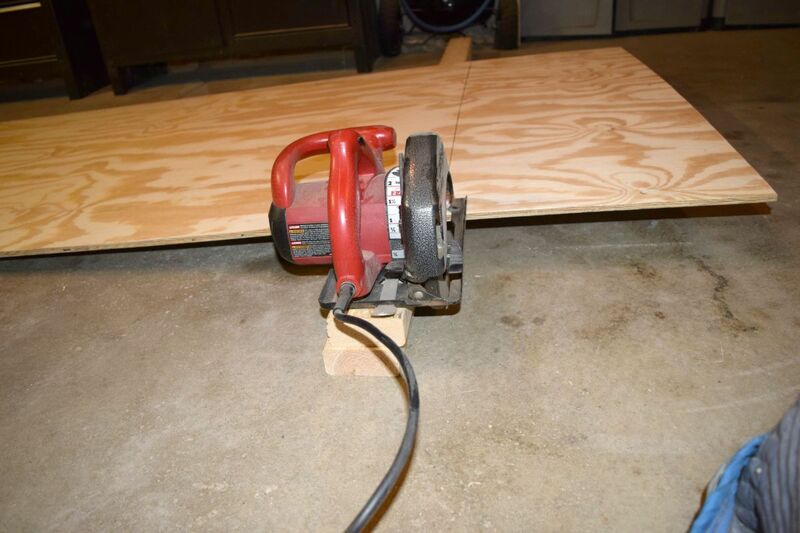 Did you use 1/4 inch plywood for this project? and how deep did you routed? Thanks I’m thinking about making this for the family many shoes. I love the color of the table on top of the furniture, the dark brown is very good, and what to say of the magnificent work to make a really nice furniture and above all functional. We have shoes everywhere! This would be a great way to declutter our front hallway. Your project came out great!